planetary harmonies and ethnic melodies make Quantum Leap an ancient/modern musical experience. with Eduardo Del Signore playing fretless bass on "Moroccan Gypsy"
These CDs contain music composed by Ron Wagner who is co-director with local dancer/writer Emily Mayne, of the performance company "Rhythmic Visions." Ron Wagner has recorded and toured internationally with Ottmar Liebert as well as with a number of major artists, and records on TV and Film soundtracks, including Star Trek and many more. 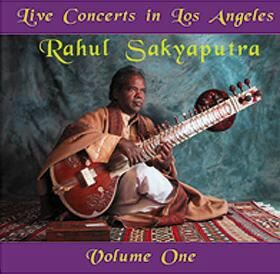 He composes many different types of world fusion music. 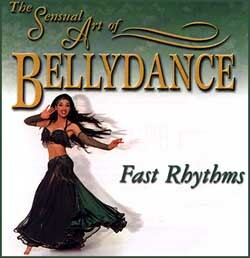 The two CDs contain the music that Ron created for the instructional videos BELLYDANCE FITNESS FOR BEGINNERS, a four volume set taught by Veena and Neena Bidasha. Although one of the CDs is called Fast Rhythms and the other Slow Rhythms, each contains a mix of different speeds, with a predominance of fast on one and slow on the other. Together they are a rich library of different moods, from slow and sultry to fast and uplifting, with a few really hot drum solos to top it off. It would be hard to pick just one, but the Fast Rhythms CD has everything for a dance workout or to re-mix for a dance party. 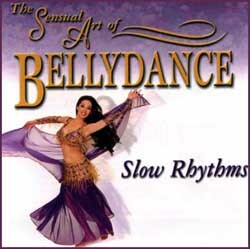 Slow Rhythms contains beautiful slow pieces that would be excellent background music for yoga or other slow movement. Bellydance teachers will find plenty of material to use for class. There are short pieces that can be used for focused movement and longer pieces for choreography or sustained workouts. Since the music was created for instructional videos, it works perfectly for teaching. Ron is schooled in Arabic classical music and uses various macams (modes) in relation to how they move through melody. 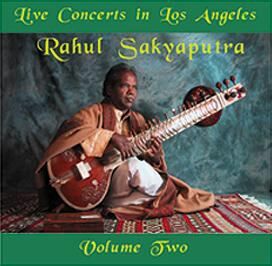 They are like Indian ragas, which he also drew from, inspired by Veena and Neena who are half Indian and do a lot of Indian folk dance. His goal was to create a "Silk Road" feeling. The macams are more than just a scale or mode to use, but rather use specific musical phrases that are associated with the macam in use (as in nahawand, hijaz or bayati). What results from this is a music that is a creative mix. Ron's absolute mastery of rhythm is the backbone throughout both albums. The rhythmic patterns are never rushed and the timing and meter is perfection. Ron's classical training in Indian drumming is evident. Anyone who wishes to practice their Middle Eastern drumming should sit and play along with these CDs.